So now it’s official: The latest art market boom has peaked, according to figures from Christie’s and Sotheby’s, the two biggest international auction houses. In late January, the companies released their 2015 results, with each reporting a slight decrease in year-over-year sales. It was the first year since 2010 that both failed to show an increase. Christie’s, a private company based in London, reported auctions and private sales of 4.8 billion pounds, or about $6.8 billion in 2015, a decline of about 5 percent from 2014. Equivalent sales at Sotheby’s, which is publicly traded and based in New York, were $6.6 billion, about 1 percent less than in 2014. 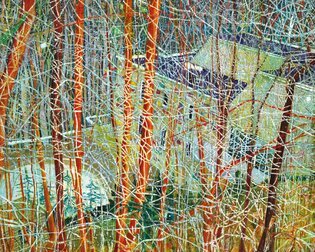 Those figures do not represent a burst bubble, or even a serious correction, but they do suggest that 2016 is going to be a challenging year for the art market, reflecting the volatility and uncertainty of the wider world. “The froth has been skimmed off,” said Paul Ress, the chief executive of Right Capital, which provides loans secured by art to dealers and collectors. Mr. Ress said that the collapse in the price of oil has taken “a huge amount of cash” out of the art market. An examination of Christie’s results reveals key shifts in the market in 2015. 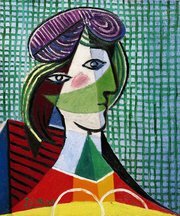 Bolstered by huge one-off prices in New York for trophy works by artists like Picasso and Modigliani , auction sales of Impressionist and modern art were up 57 percent to £1.3 billion, while those of postwar and contemporary art — the main driver of growth from 2009 to 2014 — were down 14 percent to £1.5 billion. Year-over-year sales of old master paintings and 19th-century and Russian art shrank 37 percent to £154.9 million. . . . .